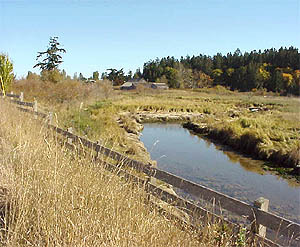 The Surfside Water Service Area was established in 1986 and comprises an area north of Qualicum Beach on Surfside Drive and part of McFeely Drive. The water source for the Surfside Water Service Area comes from two groundwater wells located nearby. The water source is chlorinated and pumped into the system on demand via a dual pressure tank arrangement.